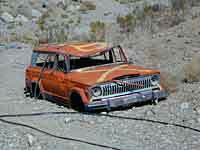 Recently improved & re-graded Goler Canyon Road, a 4 wheel drive vehicle is still recommmeded. Goler Wash runs up the west side of the Panamint Range to Mengel Pass, then drops down into main section of Death Valley National Park . 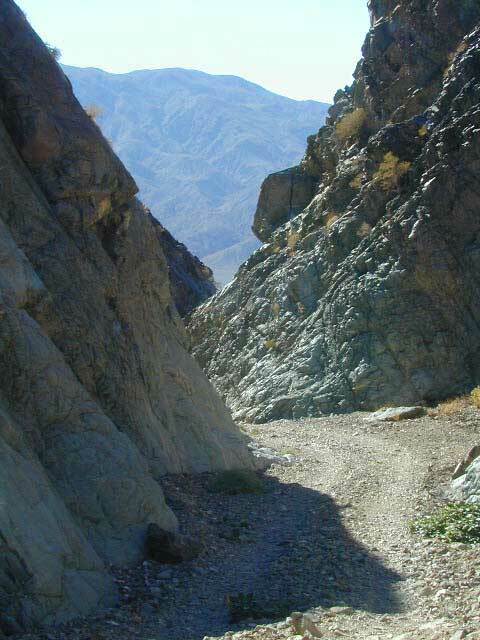 It passes several stream crossings along with rustic ranches, old mines & eventually ends up descending into Death Valley. 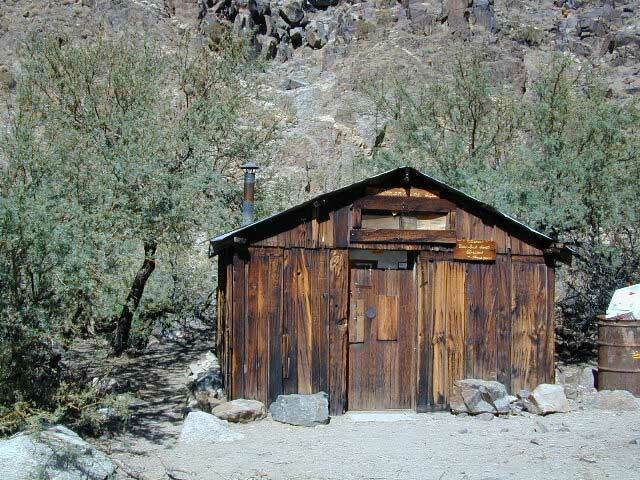 Newman's Cabin & Barker Ranch are both photographed here. The photograph of this entrance is from the West. 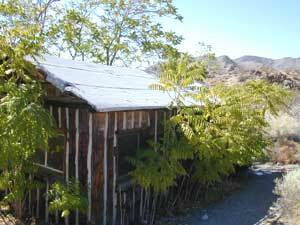 From the Panamint Valley area and the ghost town of Ballarat, taken Wingate Rd. South passing the gravel pit operation. Keep your eyes peeled for the P52 signed marker on the left. Continuing south on P70 will lead you into a military testing area with a closed gate. Driving up this narrow canyon, you will find plenty of great desert scenery. 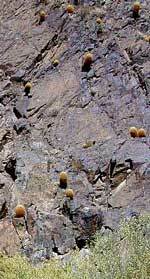 From the colorful rock cliffs above to the small animals living in the bushes... this place is teaming with adventure. This first small shack you'll come across from the western entrance is called in Newman's Cabin. 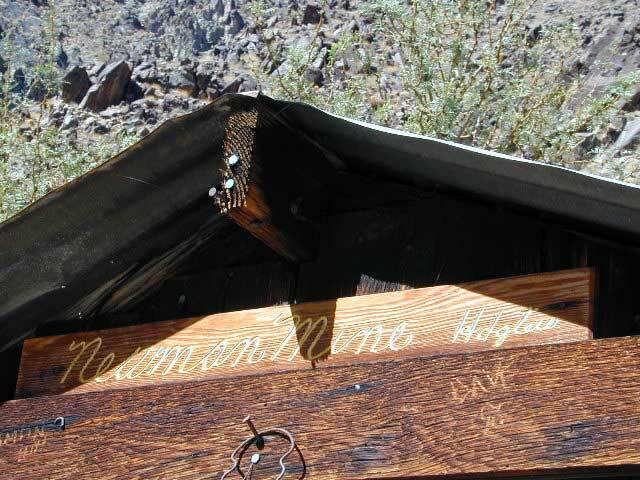 It was the headquarters for the Newman Mine, a historic mining operation close by. 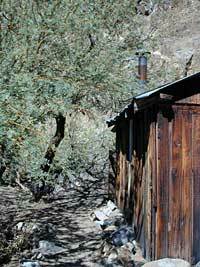 This small one-room structure has a sheet iron roof and very weathered wooden walls. The next stop is in another mining area that has a stone house and plenty of abandon equipment laying around the property. 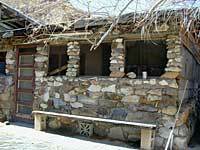 Further up the canyon will lead you to the infamous Barker Ranch where Manson Family was captured. 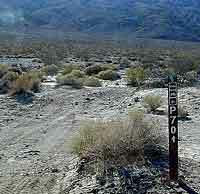 Eventually the road leads down to Death Valley. A good map of the dirt back roads ishighly advised. 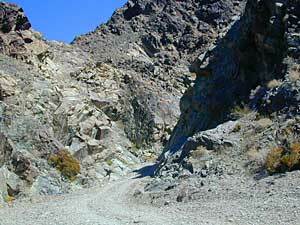 Goler Wash is the main way up to Barker Ranch from the west through the Panamint Valley area. 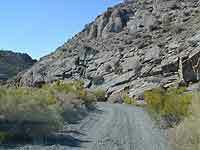 Camping in Panimint Valley is wide open, & easy, but headed east toward Death Valley, camping may be limited due to National Park to restrictions. 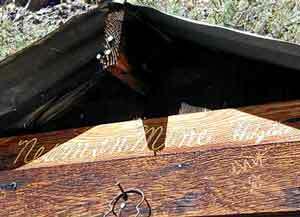 Best spots for primitive road side camping is outside of park boundaries.